On this week’s riveting installment of Autoline After Hours, McElroy and the gang delve into a topic worthy of a Shakespearean tragedy they try to dig-up the root cause of Detroit’s painful decline. Of course John is joined in the studio by Peter De Lorenzo, but the other third of the regular After Hours gang, Jason Vines, is out of town so he joins the fray via telephone. Standing in, or rather sitting in for Vines and getting his baptism by fire in the conversation crucible is Csaba Csere, ... See More long-time industry expert and former editor-in-chief of Car and Driver. This week, the group discusses and a diversity of topics ranging from horses and Fudge to cheddar cheese oh and, by the way, some of the colossal blunders that backed GM into the corner it’s in today. As always, your participation in the discussion is paramount. We take more of your questions and comments in the edgy “Rapid-Fire segment in the latter half of the broadcast. 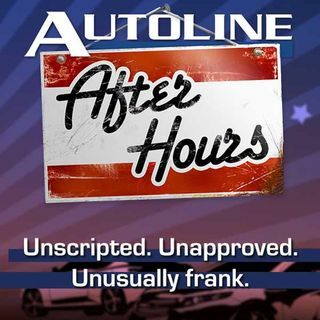 You do not want to miss this installment of Autoline After Hours, the most candid car-themed discussion around.